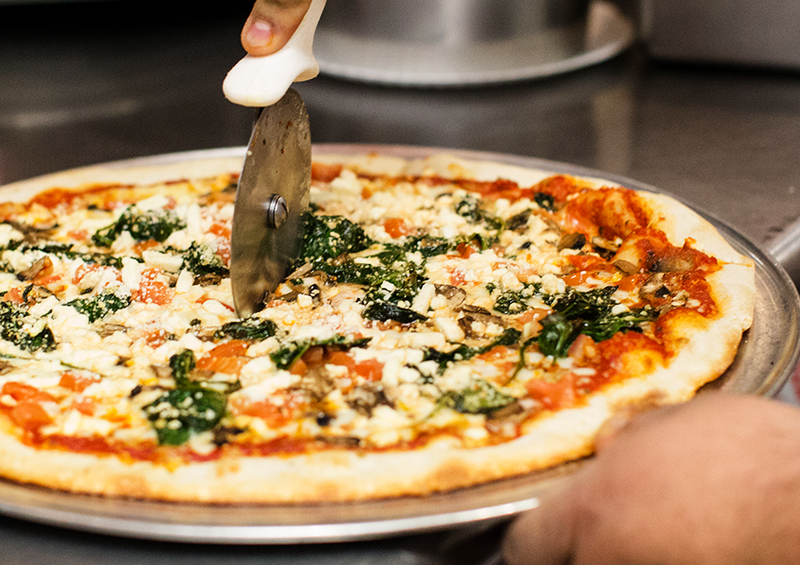 Share your love for our New York-style pizza and other delicious entrees by allowing us to cater your next event! 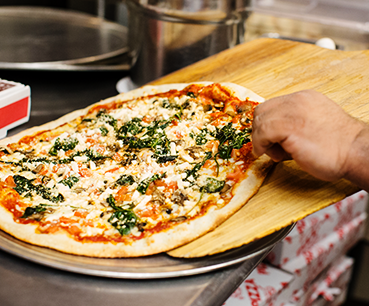 We offer everything from freshly prepared Italian entrées to New York-style pizza, guaranteed to evoke the happiness that great-tasting food always brings. Below you can see our catering menu which includes large salads, Italian pasta favorites, chicken wings, and dessert trays. Nothing gets your event going like enjoying delicious Italian favorites with family, friends, and/or colleagues. Just give us a call 48 hours or more before your upcoming event. Ask to speak to a manager about catering, let us know how many people you will need to serve, and we can help you determine what food options would be best for your specific event and number of guests. Throw the ultimate party, New York-Style, with our famous XL 18`` Pizzas. Order 10 XL Pizzas or more and receive 10% off your total pizza order. Add one of our catering salads with our homemade dressings and now you have a complete meal! Our family-style catering always delivers the freshest ingredients. Order our half tray entrees and easily feed 6-10 people. Need to feed larger groups? Our full trays typically feed 16-20 people. 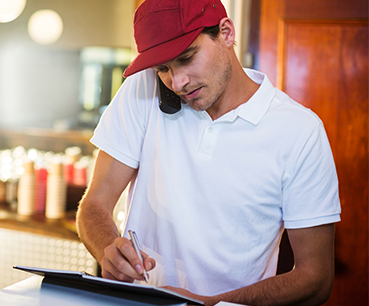 Just give us a call, sit back and relax, and let us take care of everything else! 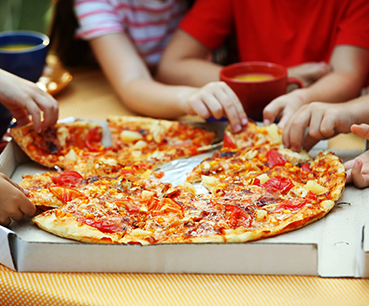 When Burke Street Pizza caters your upcoming backyard party or office meeting, you can rely on us to cover all the details. All utensils (plastic knives, forks and spoons), serving utensils, napkins, plates and cups are included for each order, so that’s one less stop at the store for things you have to worry about. Just don’t forget to grab the ice! 48 Hour Notice is requested for all catering orders in Winston Salem and Greensboro.